You have two options to get to Project Settings. Either you do it from the project you’re at and go in the top left corner, under the name of the project. In our case, it is yves-rocher. And click on Edit Project. 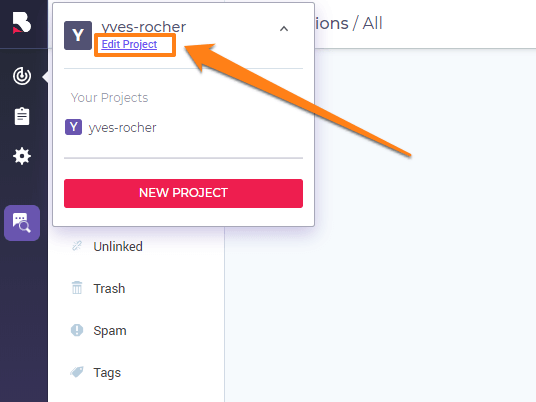 Go to Project Name in case you want to change the name you’ve added when you started the project. 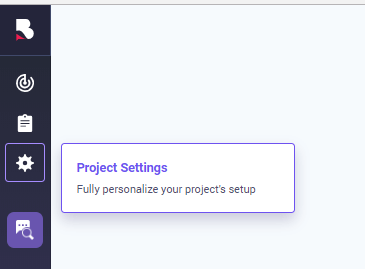 A new window will open and you can change your project name. Type it and Save. 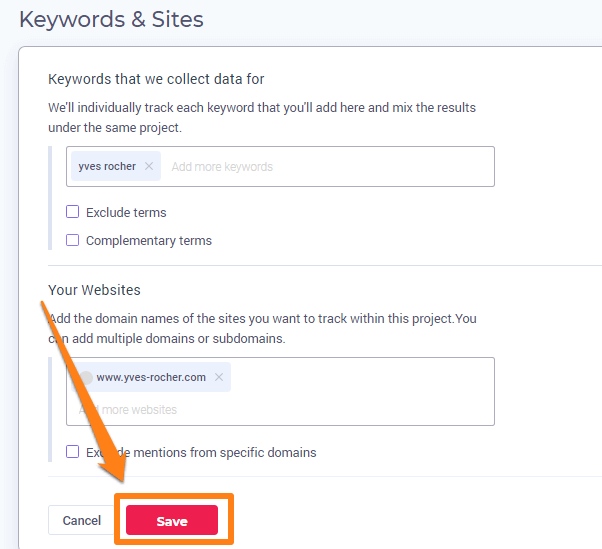 This section allows you to add or delete keywords. Add the keywords you want to see mentions for. Make sure that after each keyword you add, you press enter (key) to be tracked as a separate and an individual keyword. Click on the X icon if you want to delete a specific keyword. You can exclude keywords; add here the keywords you don’t want to receive notifications for. Let’s say that we are analyzing the brand “Yves Rocher” but we don’t want to receive any mentions regarding lipsticks, we add here the keyword “lipstick”. 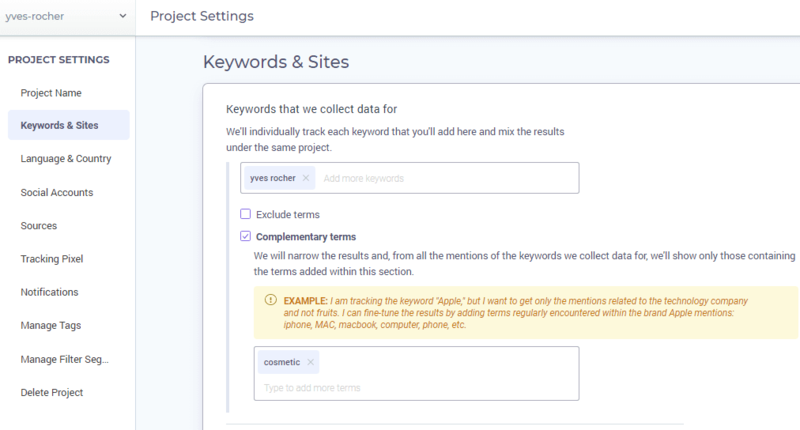 You can narrow your results even more by using complementary terms; add here terms related to your industry, that you want to receive mentions for. Following the same example as above, if you add here terms like “face-lift” or “shower gel”, from the amount of mentions that we gather for your brand, we will show you only those containing these terms. 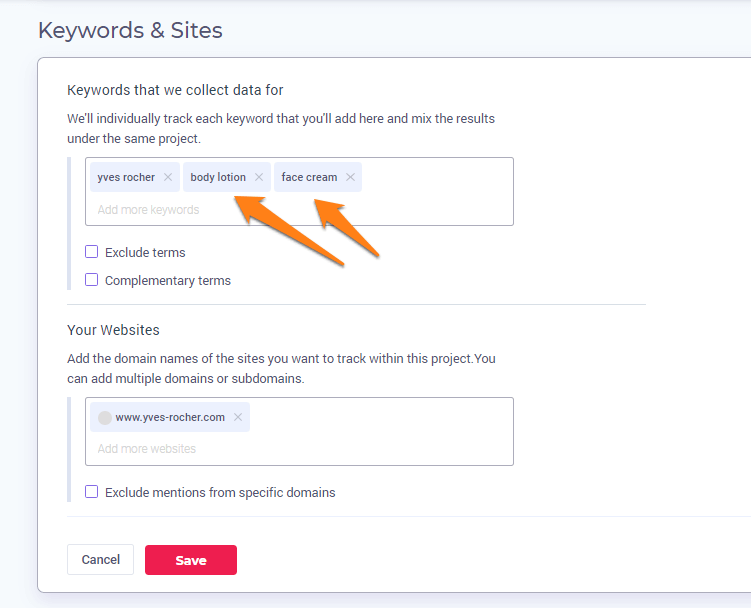 You can learn more about this within this section: how to best refine your keywords. Manage here the domain names that are related to your project. By adding the relevant website(s) here, the tool will also be able to filter between linked-unlinked mentions. Don’t forget to click Save if you want to keep the changes you’ve made. If you click save, all the changes you’ve made to this area can affect the whole project, both on the collected data, and future mentions. 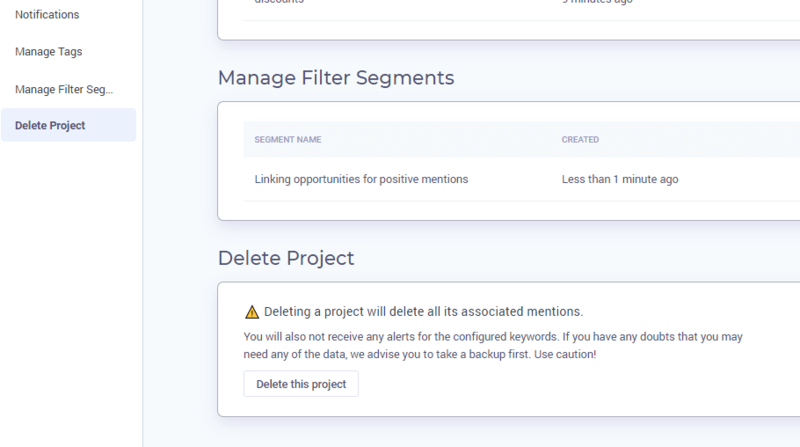 If you decide to select the box, the tool will filter the mentions and it can delete only those that are affected by the change you’ve made (and we talked about). 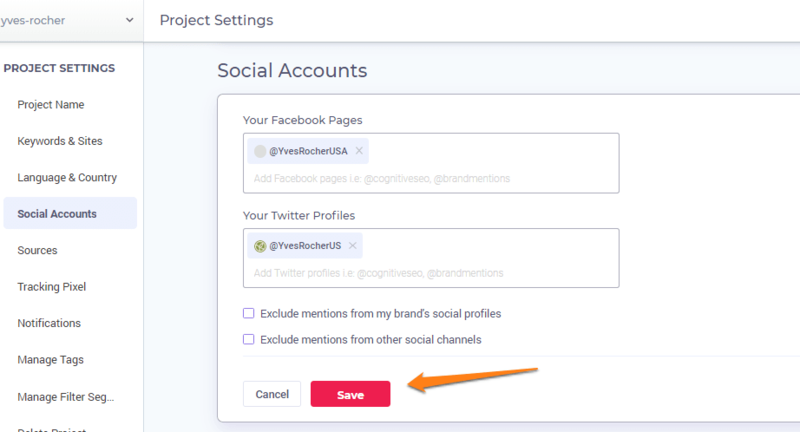 In case you missed adding social accounts when you first created your project, you get the chance to connect them from this section. Add them as @example and make sure you hit enter after adding a profile. 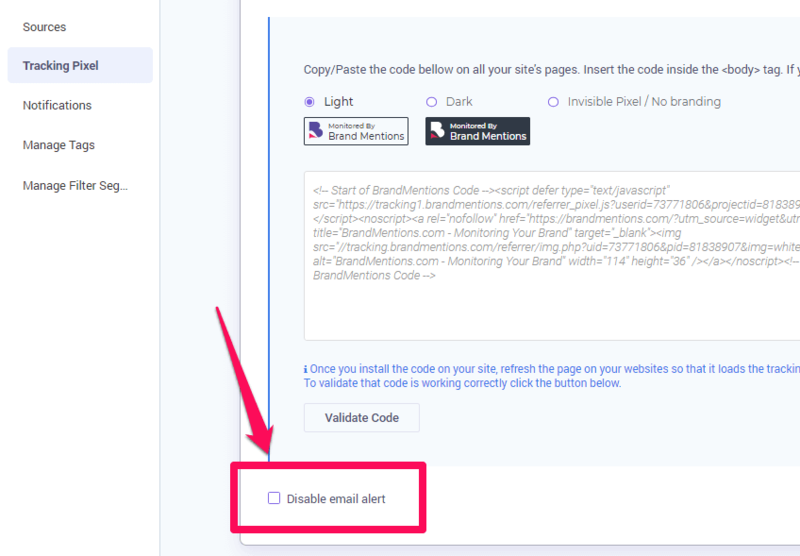 You need to authorize your Google Analytics account in order to set up the Tracking pixel and get accurate real-time email notifications when new sites link to your website. Click on Add Google Analytics Account. A new window will pop-up where you’ll need to authorize your account. After that, you have to add the Tracking pixel to your website. Select the type of box you prefer (you can see below a print screen from the setup process) and install the code on your site. Refresh the page on your websites to load the tracking pixel. 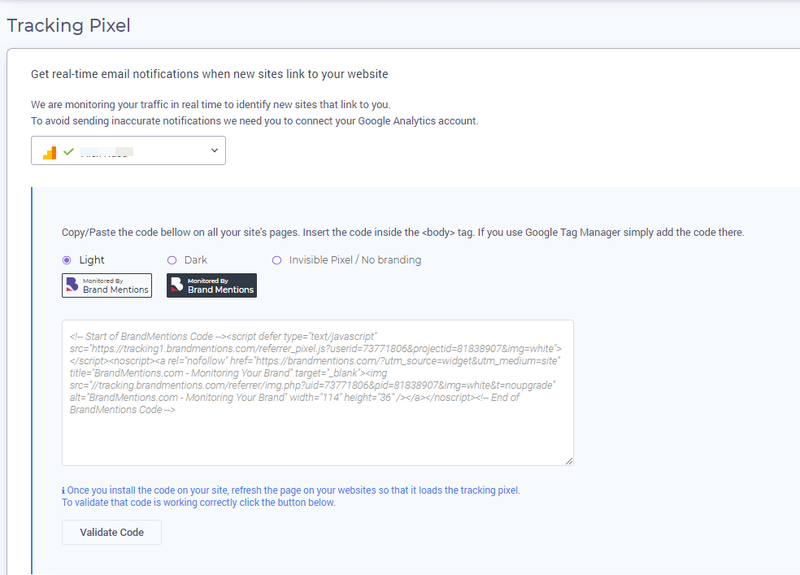 If you use Tag Manager, you can add the code there. Make sure that you validate it, by clicking on the Validate code button in the tool. By default, you will receive notifications any time a new site links to you. If you want to stop receiving notification, check the Disable email alert box. 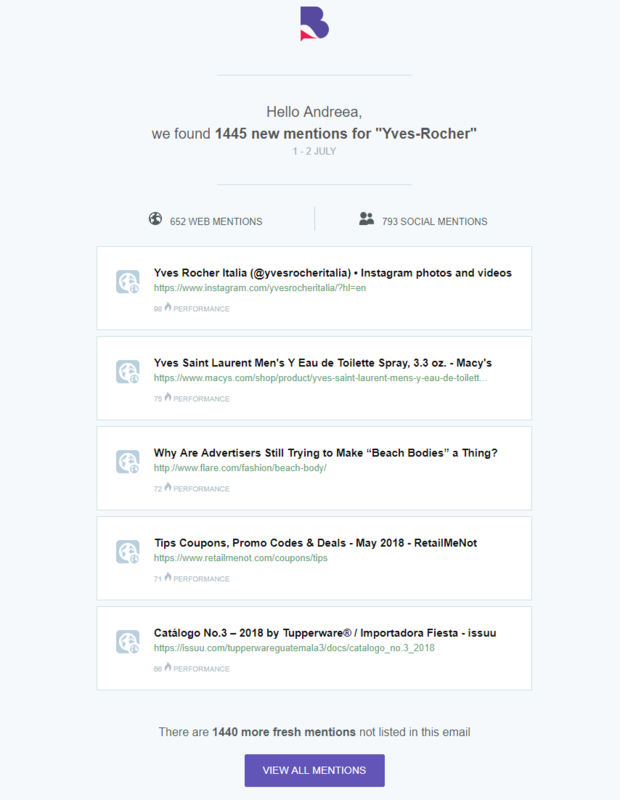 From this section, you can choose how often you would like to receive new mentions through e-mail notifications. 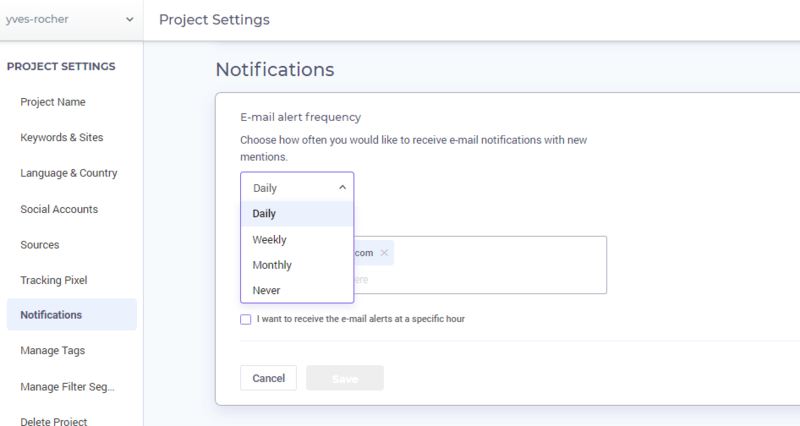 By default, you will receive emails once per day; in case you want to change that, make sure you select your favorite timing. Adding tags is simply. Hover the mouse over a mention and select the one(s) you want to add a tag to by ticking it. Once you do this, a menu will appear on the top of the page. Click on the tag icon. Once you do that, you’ll have the possibility to create a new tag or add one previously created. After you clicked on the tag icon, a new window will pop-up with the list of tags you have available. In case you want to create another tag, start typing the name of the tag and finish by clicking on Create new tag. 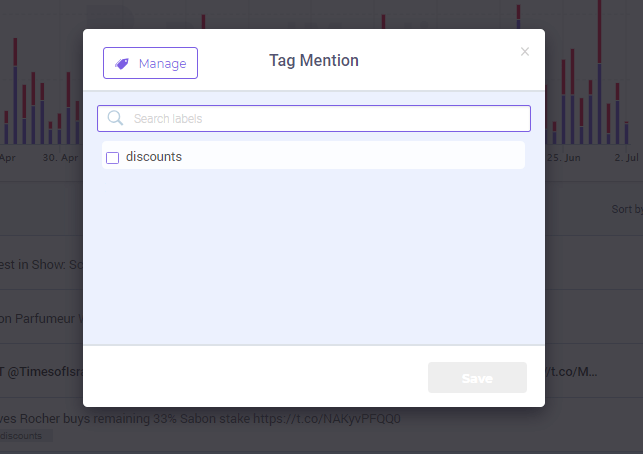 You have the possibility to apply a tag to multiple mentions. see all mentions with that specific tag. You can see here how to create segments. From this section, you can edit them. 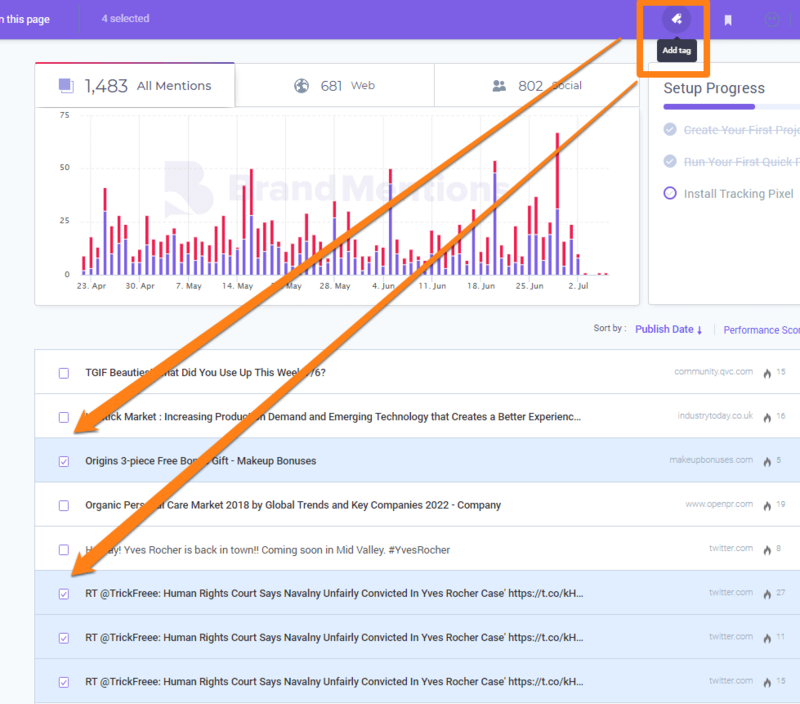 You can rename or delete your segment, but also view all the mentions from that segment. Deleting a project is easy but it is important to know that deleting a project will delete all its associated data. Go to the project you want to delete, either by going to the Project Settings or by going to Edit a project > Delete. Simply click on the button Delete this project.